When the Nashville Transit Plan failed to pass, residents were left to believe they were without an answer to the problem of traffic congestion that continues to impact their daily lives. On Tuesday, June 19, Nick Justice, Hytch’s Operations Director, spoke with WZTV Fox 17 of Nashville to highlight a creative service solution that has been empowering local businesses and industry giants alike to incentivize their employees and members of their community to share rides.  Hytch Rewards is a platform that offers users mile-by-mile rewards to share rides by carpooling or using various methods of public transportation. Businesses have the opportunity to participate by choosing to engage with commuters as either an employer sponsor, market sponsor, or both. No matter what level of sponsorship they choose, these businesses are able to demonstrate making a positive difference in their community by reducing traffic and parking congestion as well as reducing carbon emissions which have been rising to high enough levels that the Tennessee Department of Environment and Conservation has deemed it necessary to put out Air Quality Alerts for Middle Tennessee. As businesses and commuters continue to adopt Hytch Rewards as a weapon against traffic congestion and air pollution, Nashville residents may soon discover that the answer to these problems fits in the palms of their hands. Want To Earn Rewards For Sharing Rides? Want To Partner With Hytch? Sponsor your community and gain exposure to a network of daily commuters.